As the head of U.S. Venture (formerly U.S. Oil) from 1990 to 2007, Tom took the small, family-owned company in Combined Locks, WI, to a position as one of the state’s largest closely held companies, ranked third in 2016 by Deloitte. The company now operates in 44 states and Canada, with more than 1,500 employees. Tom, who retired as president in 2007, continues to preside as chairman of the board. During his tenure, Tom led U.S. Venture to become a powerhouse in more than just business – the company is one of the most important philanthropic forces in northeast Wisconsin. The U.S. Venture Open has raised more than $36 million to fight poverty in Wisconsin. In addition, the U.S. Venture/Schmidt Family Foundation has supported hundreds of charitable causes nationally and internationally. Particularly dear to Tom’s heart is the foundation’s support of a school in the slums of Ongata Rongai, Kenya, that educates, feeds and provides healthcare to hundreds of children daily. Tom has given his time and talent, as well. He was a founding member of the Children’s Mental Health Center Advisory Committee, out of which sprang Catalpa Health, which has greatly improved children’s access to quality mental health care. 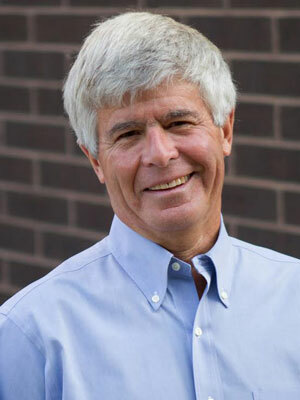 He has also served as director for the Valley Kids’ Foundation and on the board of directors for the Fox Cities Performing Arts Center and Affinity Health System. Tom’s wise counsel has been eagerly sought out by his professional peers. He has served as president of the Wisconsin Petroleum Marketers and Convenience Stores Association, and president of the board of the Society of Independent Gasoline Marketers of America. In all that he has done professionally and personally, Tom has epitomized one of U. S. Venture’s differentiating values, “Caring Relationships.” His commitment to ethical behavior, personal integrity and “family first” decision-making has made his company and its leadership widely admired. It’s a career clearly worth talking about … unless you’re Tom himself. His nominators describe a self-effacing man quick to give credit to others and to empower their success. But discerning observers know that this modest man is one of uncommon achievement, richly deserving of the Alma Mater Award.